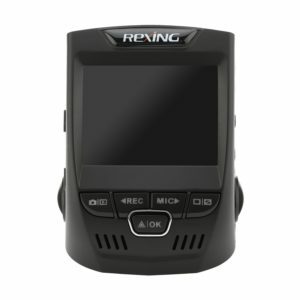 The Rexing V1 can record at 1080p Full HD with a 170° Viewing Angle. 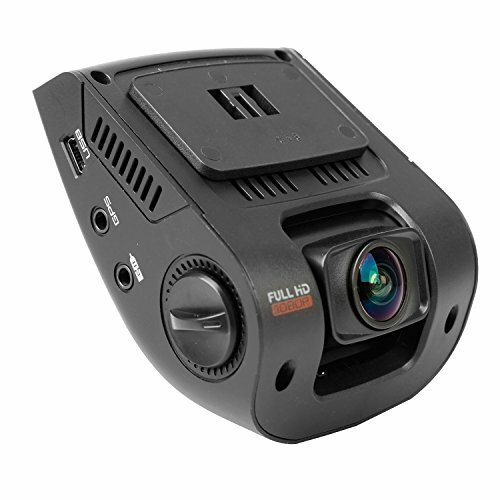 Unlike other cheap cameras, this dash cam comes with 2 self-adhesive pads, allowing you to permanently fix the mount to the windscreen. This results in very stable recordings, and allows you to clip the camera on or off the mount with ease. We found this camera very easy to set up, and we prefer the quality of the footage over other cameras in this price range. 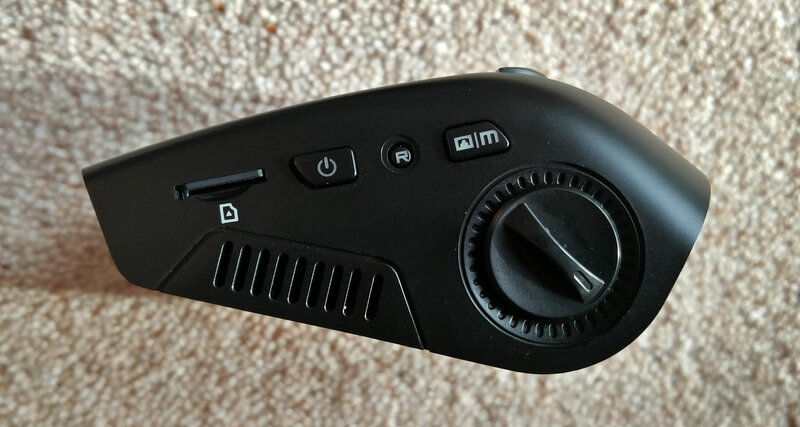 The Rexing dash cam also handles low light conditions very well, compared to similar cameras. 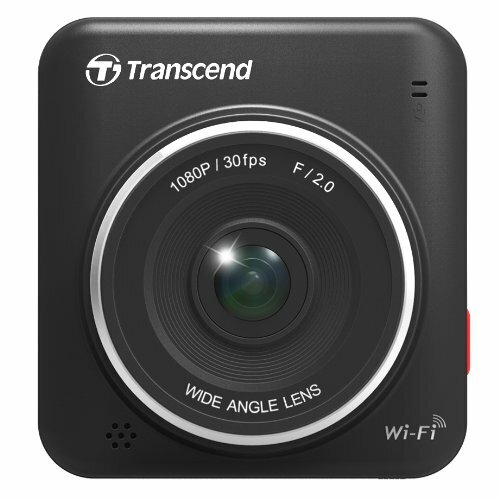 As with most HD dash cams, you will need at least a Class 10 micro SD card with 32GB maximum, something like the Samsung Evo, or the Transcend Ultimate if you are looking for a more reliable card. Make sure to purchase from a reputable seller (either Amazon or the manufacturer). There is currently a large problem with fake and faulty cards being sold, so if you are having difficulties with the SD card you buy, get in touch with Amazon ASAP, as they have a fantastic returns policy. On the front of the camera there are five buttons. The far left button allows you to go between video, camera, and playback mode. The REC button will manually stop and start recording.. In “Settings Mode” this button can be used to navigate up. The MIC button navigates down while in “Settings Mode”, and allows the driver mute or un-mute the microphone in recording mode. The button on the right(with 2 screens) will turn the screen on/off, and can be used to stop distractions while driving. Finally, the OK button confirms a selection in “Settings Mode”, and will protect the current file during recording mode, by activating Emergency Lock Mode,. There are three buttons on the left side. The far left (top) is the power button, used to turn the device on or off. The small button in the middle can be held for four seconds to reset the device, if any problems arise. The third button is the “Menu” button, and is used to enter or exit settings mode. Above these buttons, there is a slot for the microSD card, which should be inserted with the gold pins facing down. On the other side, the USB slot is used to either power the camera or transfer files, using either of the mini USB cables provided. 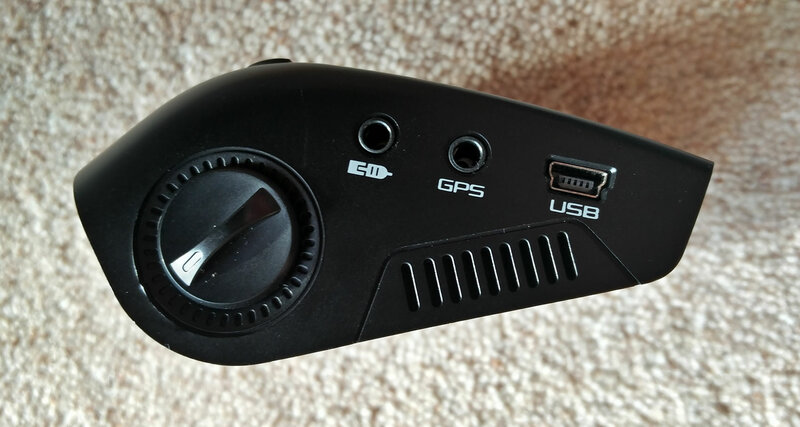 A GPS add-on can be purchased separately, and plugged into the “GPS” slot. The other slot is for an additional rear camera, but this option isn’t currently available. To begin, clean the flat side of the mount before sticking on one side of the adhesive pad. After this is firmly stuck on, slide the mount onto the back of the Rexing V1 until it clicks in place. Hold the camera up to windscreen to decide where you would like to mount it, making sure to leave enough space above for the USB cable. It is important to check the laws where you live, to make sure the dash cam placement won’t be breaking the law. As long as the camera is on the passenger side, or behind the rear view mirror (and not obstructing any of the drivers vision) you should be fine. Peel the other side of the adhesive pad off, and firmly press the camera in place. The next step is to route the cables to the 12V socket. Make sure to route the cable on the passenger side, so any dangling wires won’t distract you while driving. When routing the cables, you are aiming to tuck as much of the cable away as possible. You can tuck this cable above the windscreen, and down the side of the car under the rubber. Then bring the wire down by the door, and tuck the rest under your floor mat to avoiding tripping over. The next step will depend on how your car delivers power to the 12V socket. Plug the 12V cable into the socket, and check the camera. If the dash cam isn’t receiving power, your car requires the ignition to be on for the 12V socket to be active. If this is the case, turn on the ignition, and wait for the camera to automatically power up. There should be a red circle at the top left of the screen, indicating that the camera is currently recording. Files can be played back on the Rexing V1 dash cam, by entering “Playback Mode”. From here, you can use the UP/DOWN buttons to navigate, and the OK button to play back a file. To delete a video, highlight the file you wish to delete and press MENU. From here, navigate to delete, and press OK to confirm. There are two ways of getting the recorded footage on to the computer. The method is to connect the dash cam to your computer with the supplied USB cable. As you plug the camera in, it will switch on and give you the choice of Mass Storage or PC Camera. 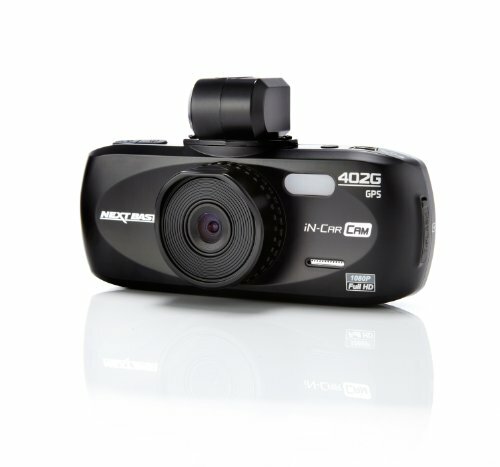 PC camera allows you to use this dash cam as a webcam, while Mass Storage allows you to transfer files over. Access the Removable Disk and go to CARDV, then to the folder named MOVIE. In here you will find all of the unprotected recordings, stored as .MOV files. The folder labelled RO contains all of the protected recordings. Simply copy the files you want, and paste them over to a folder on your computer. An alternative method is to make sure the dash cam is switched off, then remove the microSD card. This card can be inserted into your laptop or computer, with the use of an SD card adapter. When the SD is plugged in, your computer should notify you. Open up the folder and simply copy and paste the files over, the same as in the previous method. Rexing suggest reformatting the microSD card after transferring files over, to prevent file corruption. If you are going to do this, make sure to copy over every file you need, as they will be deleted when the microSD card is reformatted. 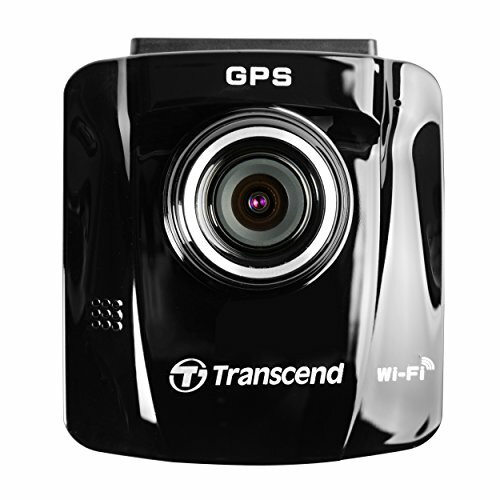 The 170 degree wide angle lens gives fantastic coverage of the entire road, and the surrounding area. The low light footage is good enough for purpose, but the camera loses much of its clarity. This isn’t a fault with the Rexing dash cam though, as most cameras lose their ability to pick up finer details in low light conditions. The WDR is particularly impressive, allowing the camera to deal with different light conditions. Out of all the dash cams in the budget price range, the Rexing V1 is one of our favorites. The video quality is great, as the camera performs very well during the day, and well enough at night. The 170 Degree Wide Angle lens covers the entirety of the road, allowing you to record everything you need. 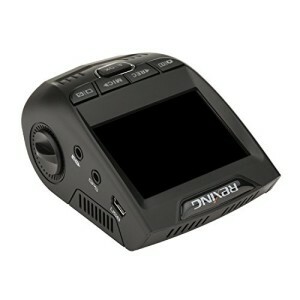 The dash cam is very easy to set up, and the buttons are easy to use and understand. 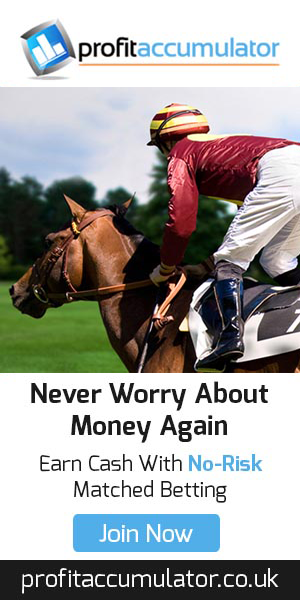 It is certainly possible to just plug in and use if this is what you prefer. As a little bonus, the 12V car charger includes a USB slot, but this can get very warm when charging a phone. As far as improvements go, we would like to see more dash cams come with microSD cards included, to avoid the extra cost, and confusion about which to buy. Apart from this, the Rexing V1 has everything you need in a basic dash cam, and is good enough to rely on as evidence if an incident was to occur. 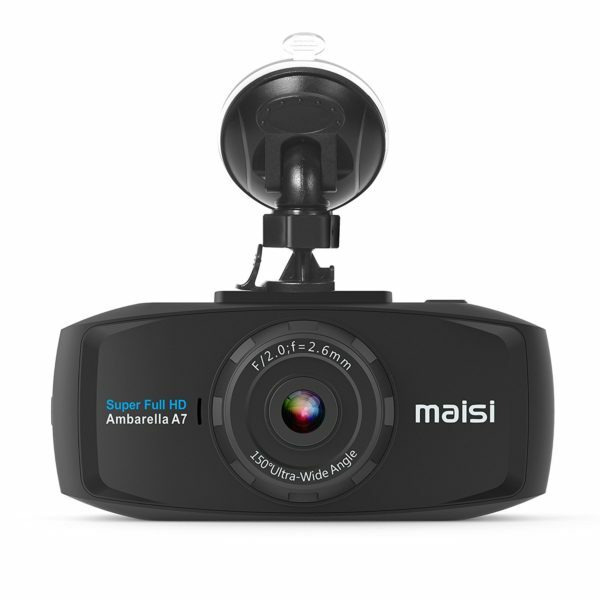 If you are willing to spend a bit more money on an easy to use dash cam, the MAISI Full HD will get you higher quality video, and a nicer looking screen. If you are wanting additional features such as GPS, our number one pick is the MAISI Smart, although this is slight more expensive.